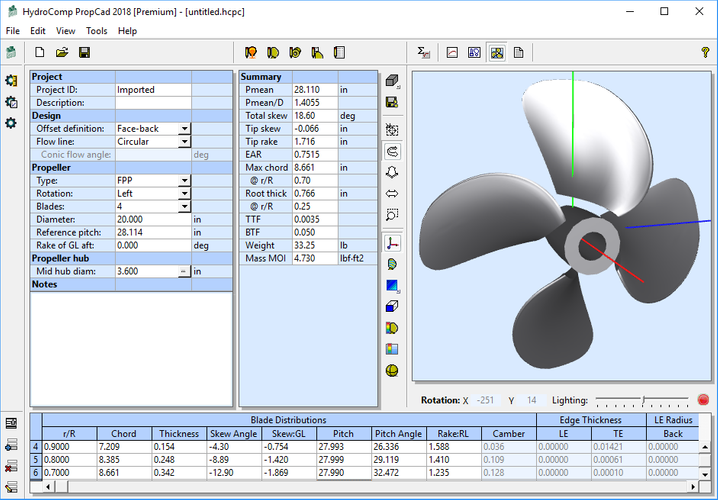 The latest release of HydroComp's PropCad 2018 Premium Edition includes a new utility to simplify the extraction of propeller features from full 3D CAD files, drastically reducing the time and effort needed to recreate an existing propeller or product model. HydroComp, a Durham, N.H. based maritime software and consultancy services provider, released the new utility as part of the PropCad Premium feature set. 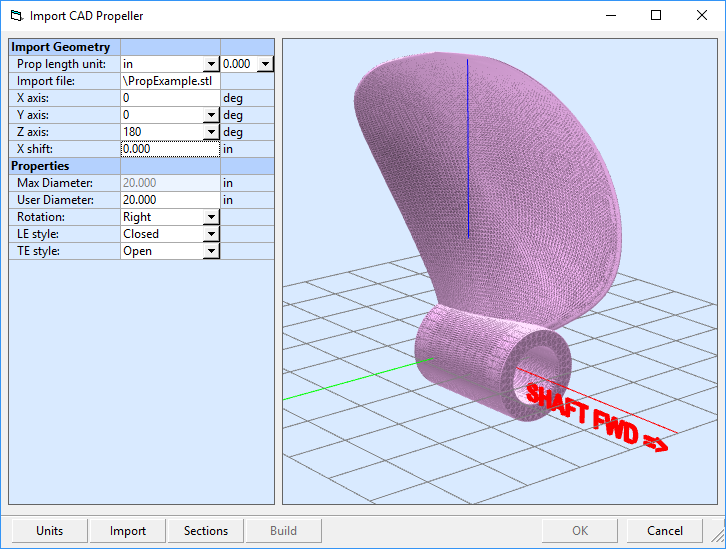 The Import CAD File utility provides a way to reverse the propeller design process, allowing for the rapid extraction of propeller design data from 3D geometries. A process that previously took several hours can now be completed in just a few minutes, the company said. The Import CAD File utility can be used to automatically extract geometric data from a CAD file. The user selects a CAD file in either STL or OBJ formats. The CAD models require the shaft axis to be positioned at the origin, but there are tools in the utility to rotate and translate the CAD data into the proper position with the integrated 3D preview window. 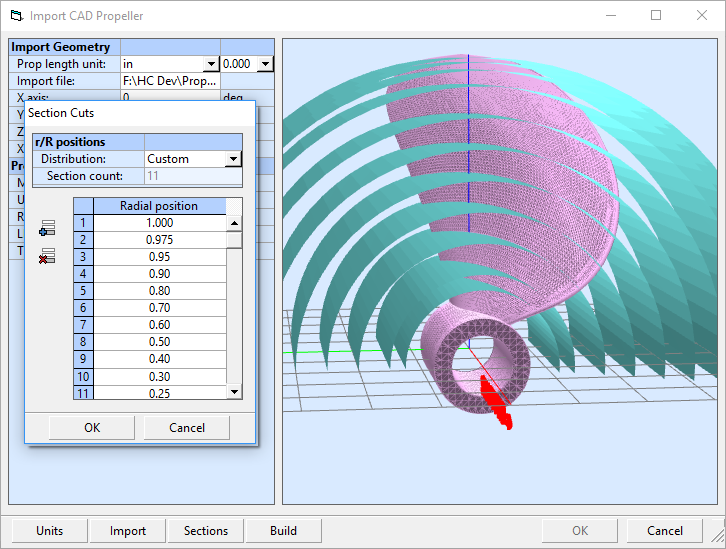 After selecting which radial sections to sample from the CAD data, the 3D intersections are calculated. PropCad’s mathematics calculate the 2D section shapes and the associated parameters for chord length, thickness, pitch, rake and skew from the intersections. The user has an opportunity to review the derived distributions within the utility. 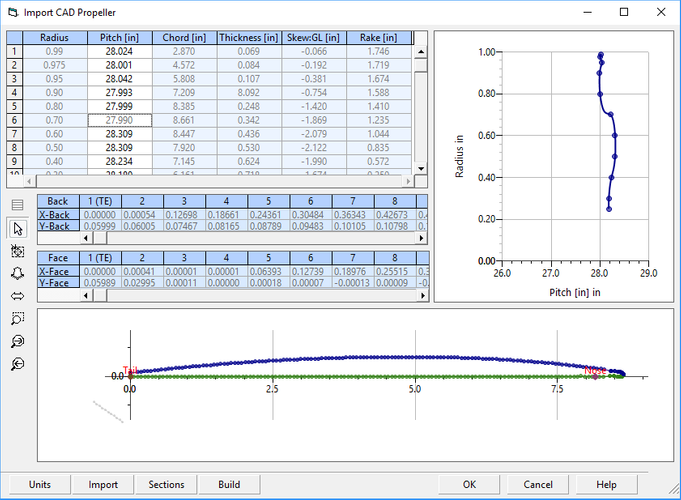 The reference line representing the pitch plane can be manipulated to yield the proper frame of reference for the propeller’s design data. The face and back offsets will automatically be calculated from the extents of the 2D section.